Looks like Nokia is looking to dump one of its premium brands Vertu…. Details inside! As you all may have read or heard, Nokia is no longer the world’s largest mobile phone manufacturer as it has lost the first position to Samsung in the first quarter 2012. Now the company seems to be trying to cut losses by selling its Vertu brand. 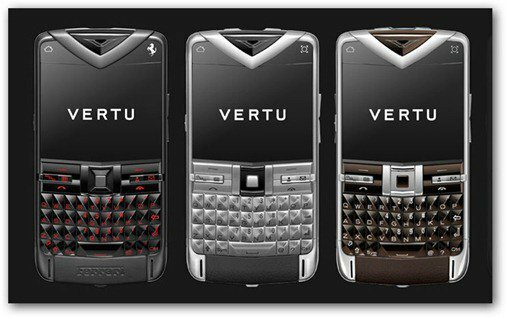 Vertu is known as a maker of highly expensive mobile phones. Prices can go as far as $310,000 for the Signature Cobra, the most expensive model. Yes — over three hundred thousand dollars, that wasn’t a typo. Even if Vertu’s models don’t always feature cutting edge technology, they certainly have an appeal to a certain portionof the market (the one that has millions of dollars in its accounts) due to both the prestige of owning the phone as well as the high-quality materials and exclusive services offered with the mobile phone. For example, the owner of a Vertu has permanent access to an exclusive concierge service which can help get you into that highly sought-after nightclub or booked restaurant. The Financial Times (you need a subscription to view the article quotes “one person with knowledge of the sale”, saying that Nokia is in advanced talks to offload the brand to Permira. Permira is an equity firms that also owns other brands like Hugo Boss and Valentino. The figure we’re talking about is about 200 million euros, which is roughly $ 265 million and Goldman Sachs is Nokia’s advisor in the deal. Of course, no official comments. Yet. And since we’re talking mobile, did you know the Galaxy S III, Samsung’s flagship device, to be released in a few days, already has a price tag to it?